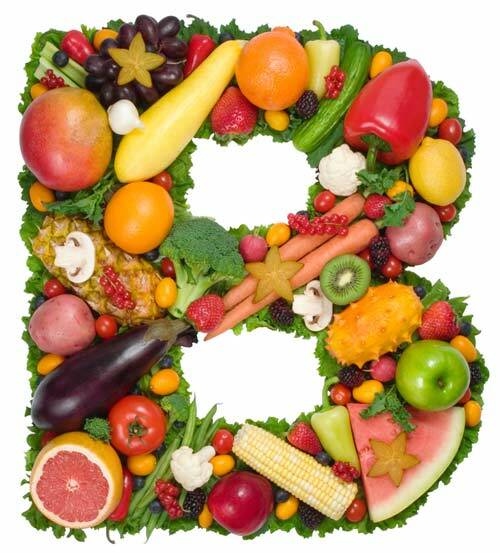 Vitamin B-Complex refers to all known essential water-soluble vitamins (except vitamin C). This includes thiamine (vitamin B1), riboflavin (vitamin B2), niacin (vitamin B3), pantothenic acid (vitamin B5), pyridoxine (vitamin B6), biotin, folic acid and the cobalamins (vitamin B12). "Vitamin B" was once believed to be a single nutrient, but more researcher has shown us that these extracts contain several vitamins hence the different numbers. Some of the other nonessential vitamins, that can still be considered B-complex members are para-aminobenzoic acid (PABA), choline, and inositol. Each member of the vitamin B-complex has its own structure and unique function in our bodies. Vitamins B1, B2, B3, and biotin are involved with energy production, vitamin B6 is known to be essential for amino acid metabolism, and vitamin B12 and folic acid helps the steps required for cell division. Although each of these vitamins have additional functions as well, but none that require all B-complex vitamins at the same time. Our bodies requirement for each B vitamin varies. We understand that large doses of B-complex vitamins are sometimes taken to fight stress and boost energy, or control food cravings, but those doses do not appear to offer additional benefits unless a person is already deficient in one or more of them. Vitamin B1 (thiamine), Vitamin B5 (pantothenic acid) and other B vitamins have been shown to help wounds heal. This is why some healthcare authorities recommend a high-potency B vitamin supplement to help with wound healing. Vitamin B1, B2 and B6 have been shown to provide relief for those with reoccurring canker sores. This is because canker sores can be a sign you have a vitamin B deficiency. Vitamin B’s have been used for ADHD treatment, although high amounts of B vitamins have had mixed results in treating ADHD symptoms.